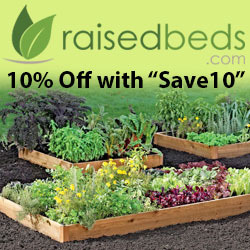 Quality soil is behind every great vegetable patch and flower garden bed. Even with the best intentions, you won’t get far with your gardening until you have tested your soil and taken measures to improve it where necessary. Soils can be professionally tested in laboratories, but there are also some relatively simple techniques you can use at home to check the health of your soil. The system described here is known as the “Willamette Valley Soil Quality Guide”. It was developed by soil science professors and originally designed for farmers in Oregon, but it is also applicable to most gardeners across the US. One thing to remember is that the test is designed as a whole. Don’t be tempted to start improving your soil until you have completed all ten tests and have the clearest possible picture of what your soil needs. The best time to do your ten tests is during spring when your plants are in their growth phase. Tests 1, 2 and 6 can be done al year round. Be sure to test a few different areas in your garden as your results may vary. Tilth refers to the structure and nutrient density of your soil. 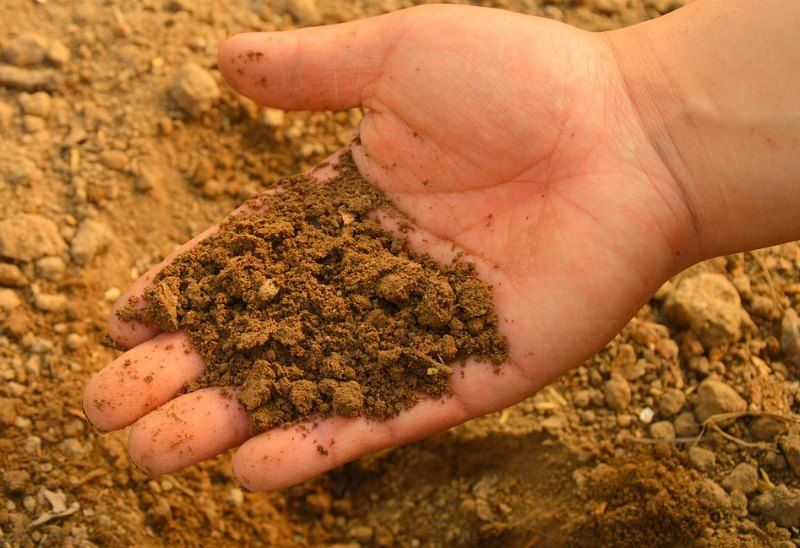 To test your soil structure, dig a hole to between six and ten inches in moist soil. Collect a sample clod from the bottom of your hole and consider the integrity of your soil structure. Is it hard, powdery, granular, does it fall apart easily or does it hold its shape? Healthy soil holds its shape under gentle pressure. If it is difficult to break up your clod, then you soil is too hard. A nutrient-rich soil that holds its shape under gentle pressure has good drainage capabilities so roots are taken care of. A loose, open, healthy soil also allows for the sufficient movement of oxygen which also helps plants to develop vigorous roots. Force a length of wire into the ground in a few different areas of your garden, and measure the point at which your wire bends. This measures how firmly your soil is packed. Ideally, the soil will allow the wire to penetrate at least a foot before it bends. An overly compacted soil interferes with the circulation of water, oxygen, nutrients and even earthworms through the earth. These are all vital to a healthy garden. Sufficiently loose soil also enables healthy root growth. This is much the same as test 1, where you look at tilth, and is something you will be constantly evaluating as you dig, weed and mulch. Pay attention to the way your soil behaves as you dig. If it forms big clods or platelike clumps, or takes a lot of effort to dig, you have a soil with low workability. Workable soil enables water and nutrients to travel to the deepest roots, and retains good integrity without compacting. Poor workability is associated with other soil problems too, and scientists suggest those problems that result in poor workability are probably long-term. If you have soil with poor workability, don’t be surprised if you’re getting poor results in the other tests too. In this test, you are looking for the worms, beetles and other bugs that are thriving in your soil. Gently dig a hole about 6 inches deep, and take a few minutes to watch closely. Count the number of bugs and spiders you see. A count of ten or more is an indication that you have healthy soil; less than ten and your soil is lacking soil-dwelling organisms. This suggests that the soil is not sufficiently rich in nutrients. Not only does the presence of animals indicate a nutrient-rich soil, it also means you have a ready population of bugs and spiders that will help you fights pests and disease that might affect your plants. In addition, every animal contributes to the continued quality of your soil by breaking down organic material into nutrient-rich mulch. To check for earthworms, have a look at your topsoil and see if you can find any earthworm trails or holes. Then, to count your worms you will need to dig a hole about 6 inches deep. Anything more than three worms is fantastic. Anything less than three worms is not a great sign. If there are none at all, then your soil probably lacks sufficient organic matter for the earthworms to feed on. There is an exception – even in otherwise high-quality soil, if you are from the Southwest, the desert conditions usually mean the soil gets too hot for earthworms. Earthworm movement aerates your soil by encouraging airflow through the little burrows they create. Water flow is encouraged by the same means. They also contribute enzymes and organic matter through their digestive processes. Lastly, they secrete compounds which help to improve the tilth of your soil. If you have turned a cover crop into the soil, check the amount of plant residue after the first month. Dig a six-inch hole and check for what kinds of plant matter you can see. A month after being turned in, you should be able to see recognizable plant remains and fibers, as well as some dark humus. This is about the right rate for decomposition. 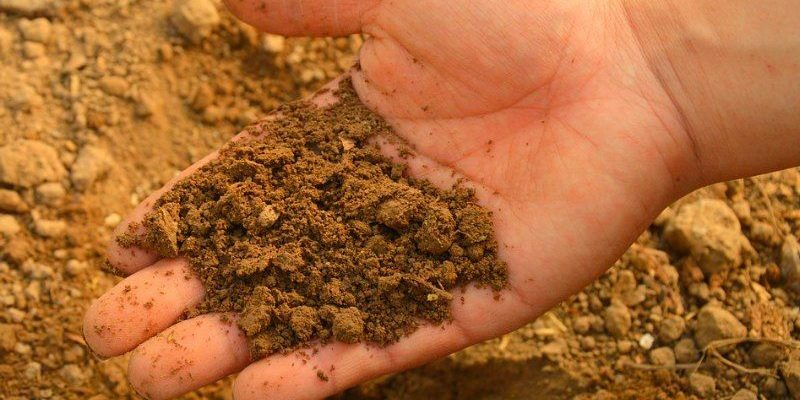 The amount of organic matter that your soil contains is the primary indicator of its health. For organic matter to turn into compost you need those soil organisms. Even if you can’t find lots of bugs, a good rate of decomposing plant residue is an indicator that they are doing their job. A fast decomposition indicates healthy soil, while a slow decomposition usually means the soil is not well aerated. If this is the case you might notice a faintly sour smell as plant material rots slowly. You need to be objective in this test, and take a regular check of your plants when the active season of spring growth commences. Check for good color and uniform size as the best indicators that your plants are doing well. Remember, though, to judge the health of your plants against the standard for your local area, because soil and climate conditions can vary greatly. Also if you have had a dry season or have been fighting a pest, this test may not be the best indicator of present health. Outward vigor is an excellent indication of good tilth, healthy water and air supply, and a thriving community of soil organisms. It’s best to do this test on an annual weed rather than a cultivated plant. Gently dig around the plant you have selected until you can pull it out without too much root damage. Have a look at the development of the roots, especially for fine white strands that indicate new growth. If the roots are waterlogged your soil likely has water drainage problems. A short, stunted root system suggests disease or pests. The roots really tell the story of the health of your plants and soil. 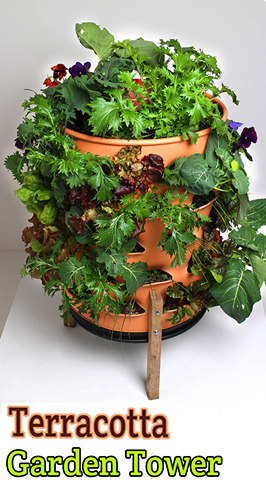 If they are growing well, your soil is providing all the water, air and nutrients they need. If not, then your soil is definitely lacking something. This test times the average rate at which your soil absorbs water. Cut out the bottom of a coffee can and set it into the soil with about 3 inches above the soil line. Fill it with water and mark the height. Then, use a watch with a second hand or a stopwatch to time the absorption of all the water in the can. Keep doing this until the rate becomes consistent and predictable. If the rate is below ½ to 1 inch an hour, you probably have a compaction problem. If soil is compacted then water, air and nutrients can’t travel easily to the roots, where plants need them. Compacted soil is more prone to erosion and runoff too, which can really damage your garden. Water your plants really well or wait for a good rain. Once it stops, time how long it takes before plants start to wilt or show some other signs they need water. This depends greatly on your local climate and soil types, but if your plants are thirstier than what’s normal for your area, the soil is probably to blame. Good soil can absorb more water than poor soil, which means less evaporation and a better supply of water for the plants between waterings. As you can see, there are a few different ways you can test your soil at home. You won’t get the detailed chemical analysis that a lab can supply, but you can find out plenty by taking the time to get to really know your garden.